Through the course of 9 films, Guillermo Del Toro has shown some of the widest range of any director in Hollywood, while at the same time staying in the reliable genres of Fantasy and Horror. With Crimson Peak coming to theaters in the near future, audiences will soon be receiving another dose of the dark magic that makes Del Toro the visionary entertainer that he’s come to be known as. With our eyes cast to the future, our thoughts turn back to the past as we count down the top 5 films of Guillermo Del Toro’s career. While Pacific Rim is a popular film in the work of Del Toro’s canon, it’s definitely one of the less grounded entries. That’s not to say the film isn’t awesome, as it still draws from the director’s fascination of fantastical beasts, parallel universes that exist on top of ours, and awesome mechanical devices. If there’s anything Pacific Rim should be celebrated for, it’s got to be the imagination and pure joy that goes into each frame of it. 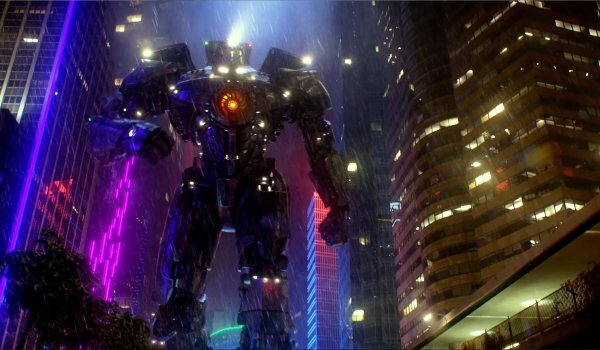 With the feeling of a war movie crossed with a Godzilla picture, Pacific Rim is too damned mind-blowing to leave off the list. Cronos is the one that started it all. With Guillermo Del Toro’s feature film career taking off with this feature, Cronos is the biggest indicator of recurring themes and influences that Del Toro would use. 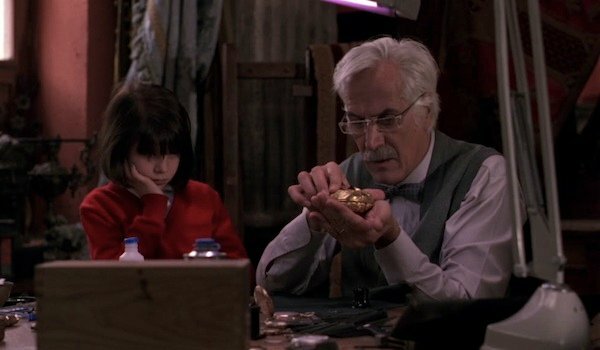 Part Spielberg movie, part darker take on a story out of The Twilight Zone, Cronos is a smaller-scale story that shows off Del Toro’s other greatest strength in his work - his characters. What the film lacks in budgetary flash, it more than makes up for with the story of Jesus Gris and his battle to stop a rich businessman from obtaining the key to an unholy, extended life span. While we can’t go into too much detail about just why we loved Crimson Peak just yet, it’s a safe bet to put it this high up on the list of the bets of Del Toro. What we can say, though, is that not only is this Guillermo Del Toro’s most colorful film, it’s also his most "serious" as it eschews most of the usual genre trappings and tells a gothic love story. Inspired by the greats of the genre, particularly Mary Shelley and Ann Radcliffe, Del Toro crafts a story that uses the supernatural in such an ingenious way that its trailers don’t do it justice. Come for the ghosts, stay for the smoldering thriller. 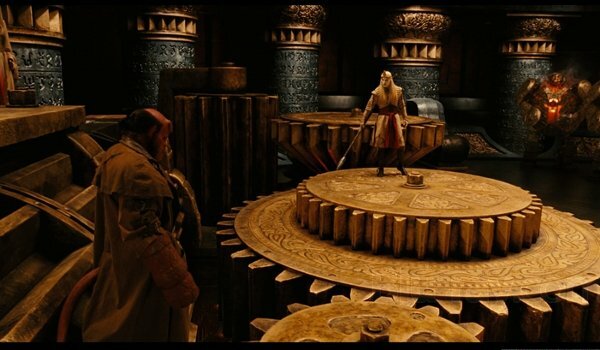 While all of Guillermo Del Toro's films paint a layer of fantasy and magic over the traditional world we live in, Hellboy II: The Golden Army is probably his most ambitious film that does so. While Hellboy teed up the franchise to be something great, its sequel makes the play that drives the franchise into such a state of impression that fans are still clamoring for the final entry to a proposed trilogy to this day. Ron Perlman’s performance in the part he was born to play anchors a cast of strong supporting actors, as well as the world that Del Toro and comic creator Mike Mignola crafted for the B.P.R.D. to play around in. It is a world of whimsy and danger that not only makes us believe there’s a market of trolls in New York, but that there’s also a demon ready to kick their asses for information. It’s easy to drool over Guillermo Del Toro’s works as a fanboy, a visionary director, and a purveyor of material both shocking and terrifying. But his best work is the most dramatic film he’s ever made, which also happens to be one of the most beautifully crafted fairy tales ever. 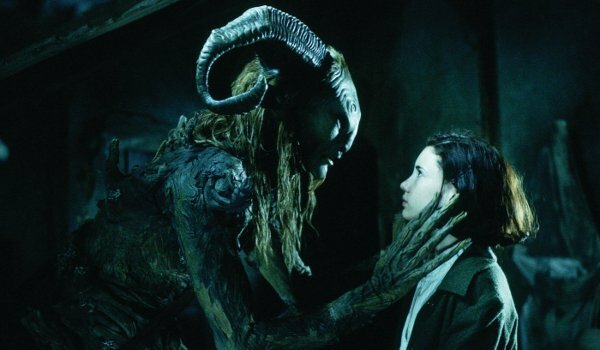 Pan’s Labyrinth takes the horrors of the Spanish Civil War and filters them through the wildly imaginative viewpoint of Ofelia - a young girl who discovers a world of creatures that are both beautiful and frightening. As lushly imagined as it is shocking and visceral, we can’t wait to see how Del Toro and music legend Paul Williams reimagine this film as a full scale Broadway musical. What Is Your Favorite Guillermo Del Toro Movie?